Our membership has grown to include so many from all around the United States, Asia & Europe. 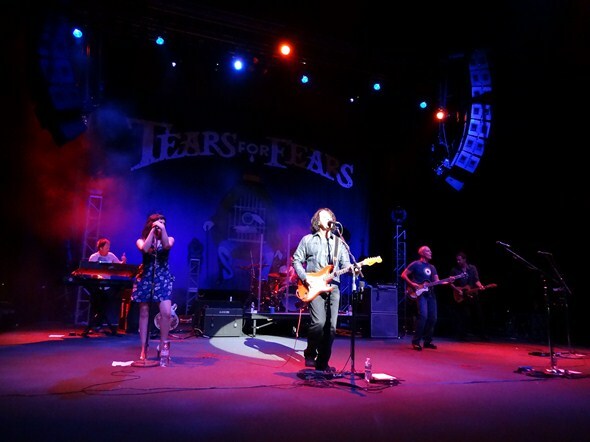 In addition to the enormous crowd of ticket holders, we, the travelling fans, had 165+ active road trippers that met up at each Tears For Fears show; travelling great distances to see the band on the sunny west coast. We even had the ultra cool Captain Julian Orzabal of DelaQ. What a blessing that was! 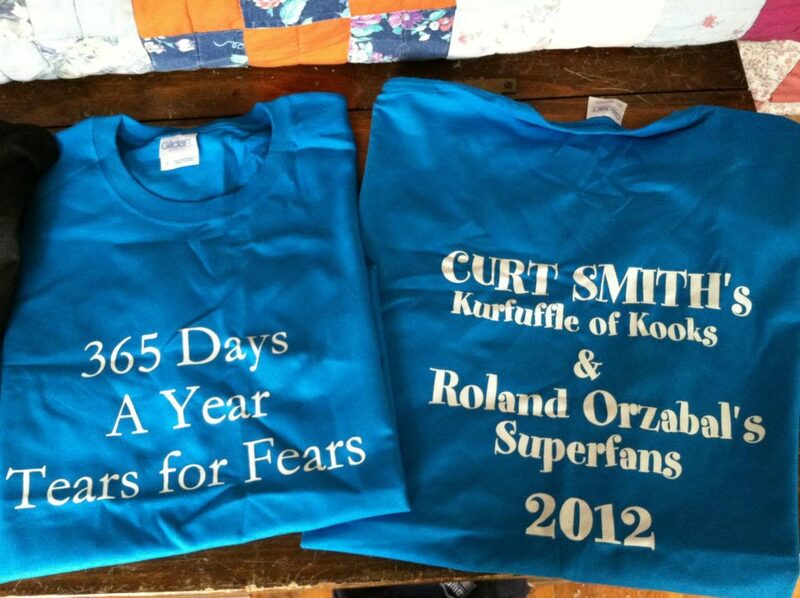 It is a great joy to begin profiling some of our lovely Tears For Fears Travellers who are dedicating themselves to fan touring and celebrating the band. Cammie (@BxBourgie) joined us this year and tells her story. I was born, raised and currently reside in Curt Smith’s favorite U.S. city. I can’t speak for any other New Yorker, but me? I’m spoiled, especially when it comes to bands, concerts and tours. I always expect that if my favorite band is doing shows somewhere in the U.S, they will more than likely make their way to NYC at some point. Why should I have to take a bus, train or plane somewhere else to hear my favorite band play? I’m in NYC! Everyone comes here! They’ll make it here eventually. So I’ll just wait. In 2011, one of my absolute favorite bands ever, Tears For Fears, were doing a few shows on the West Coast, and I decided to sit and wait here in NYC, for them to announce a date or two here. Yeah… didn’t happen! (“Its not that we don’t love you…”) I missed them when they were here in 2010 because I was on a cruise, but when they didn’t come back the next year, I decided to stalk Curt’s Twitter ( Roland does not do the social media thing right now), and wait for an announcement of Tears For Fears tour dates. I waited almost a year. Then I began to see tweets. From Curt. About show dates. Curt answered my tweet to him, confirming the San Francisco date among others, but I knew better than to ask about NYC; I know that Curt likes to stay close to his family in L.A. I had a decision to make. Let another year pass without seeing Curt Smith and Roland Orzabal right in front of my very eyes sing the songs that I’ve loved since I got cable television and MTV when I was 14, saw the video for Head Over Heels for the first time and fell in LOVE… or was I gonna sit around and wait. I’m a travel junkie, it’s what I love to do, so this was an easy decision! I bought a ticket to the San Fran show as soon as they went on sale, a flight and a hotel. And then met some fabulous Tears for Fears fans on Twitter, changed my flights around, booked ANOTHER hotel, got ANOTHER ticket to the Vegas show from a generous fan who was unable to attend, and had one of the most awesome experiences of my life. Not only did I get to sing along to EVERY song, almost close enough to touch the ever youthful Curt Smith and the beautifully elusive Roland Orzabal, I had great time meeting many other Tears For Fears fans – some for hours, others only briefly – as well as someone I never expected to meet who was also one of the most charming men I’ve ever encountered. 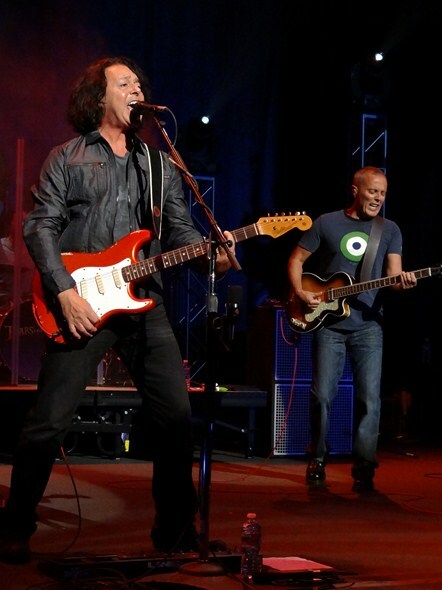 I know many people ask Curt on Twitter and Facebook why Tears For Fears doesn’t do shows in their town… but I will say that IF you can do it, TRAVEL to see this band, wherever they happen to be. GO GO GO! THIS from a spoiled NYC girl who expects all bands to come to NY when they do shows. 🙂 I flew across the U.S. to see Tears for Fears, and would do it again it a heartbeat. Around the world, whatever! They looked fantastic, and sounded even better. Shoes and jacket off at the San Francisco show, I jumped, swayed, sang and swooned from the first note to the last. I felt like I was floating! I needed a minute to collect myself after it was over, only to do it again in Vegas two nights later. Wonderful to meet Carri, Becky, Becky’s daughter Rihana, Yvette, Andye, Janice, Colleen, and Julian O. in person, and the many others I’ve “met” from other parts of the world via Twitter. (Much love to Margaret for sending me her ticket to the Vegas show!) As I am able, I hope this is the first of many. In the meantime? As Andye says… perching. 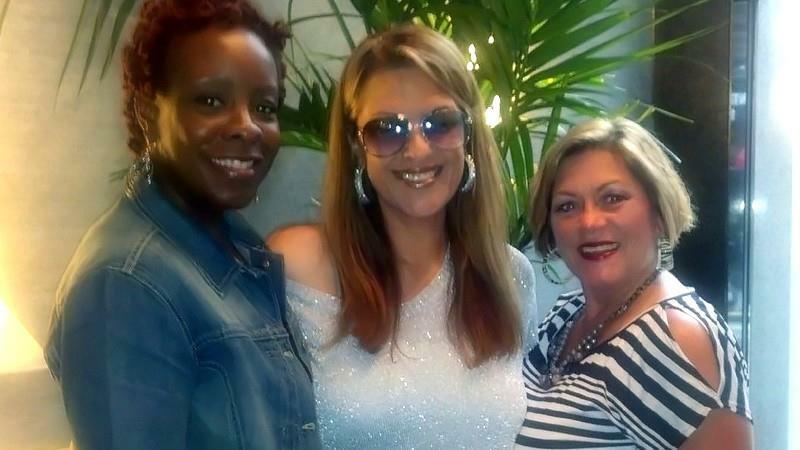 Cammie, we appreciate you coming all the way from New York to join us and have a great time. Other New Yorkers include Jeanie P who began her TFF Fan travels last year. We look forward to highlighting all of the fan fun in the weeks to come including a ton of pictures with the band, fan gatherings, mega-tour fan bloopers & funny moments! Thanks for reading! Posted on 27/08/2012 01/07/2014 by International Business and Cultural ExchangePosted in Cammie of New York -Travel Fan & Team Lead, Meet The FansTagged airlines, Cammie, Concerts, Curt Smith, Facebook, Fan Clubs, Kooks, Music, plane tickets, Roland Orzabal, San Francisco, Superfans, Tears for Fears, Travel, Twitter. Previous Previous post: Happy Birthday, Bonne Anniversaire y Feliz Cumpleanos ila Roland!! Thank you lots for featuring me on the fan travel blog! I try to experience as much as I can while I’m on this earth, and this was certainly unforgettable, for many reasons. So cool meeting other TFF fans and hearing their stories. Looking forward to the next posts about the 2012 tour. Thanks Cammie for bring it all back…all the anticipation and exhilaration the embodies a TTF experience. San Francisco was amazing on so many levels – venue so intimate, yet with a the BIG sound we all love. The audience throbbing and bobbing with every song. The band SO CLOSE you could reach out and almost touch them! So true what you said, Don’t wait for an appearance in *your* hometown….do whatever you have to to get *there* and see them LIVE. Well worth the expense….the memories and pleasure last a lifetime…and that is *priceless*. 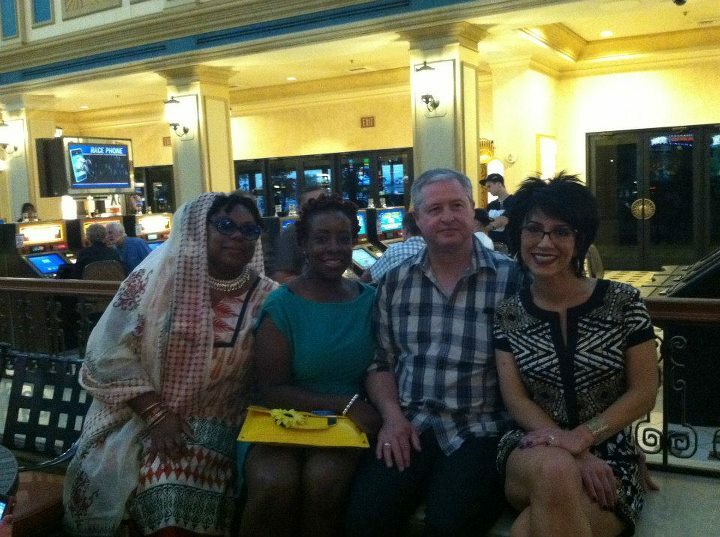 From Andye: Pardon the delay Jeanie, yes, I am so happy to host everyone’s stories and experiences here. We’ve been fortunate to follow the band around. I’m quite grateful for each and every one of you!